The Outer Banks has a way of connecting with people. Uncrowded beaches that stretch for miles and the endless possibilities that come with them. This is America’s First Beach. Forget Hawaii and California – on the East Coast, the best place for surf is on the Outer Banks, and this region is renowned as one of the best surfing destinations from New York to Florida. Surfers from all over the country and the world flock to the Outer Banks for the annual ESA tournament, or just after a storm swell, to paddle out to the Atlantic and enjoy some of the best waves on the coast and a website as a local online connection to surf in the Outer Banks not only required an intuitive user experience, but a strategy centered around meeting every surfer’s need and a powerful back-end engine to deliver third-party content across the site. For over 17 years Right Coast Surf, LLC provided Surf Reports on their OBXSurfInfo.Com website until July 3, 2018 when they released their new version 2.0. Their local approach to all things surfing remains the foundation of the site with more toes in the sand surf reporters, surf forecasts & webcams than ever. Top that with locally fueled surf blogs highlighting past swells and other local events. With this release they roll out a “Premium Member” option offering users an improved experience thru a new report design and navigation. People will also get reduced advertising, unlimited streaming access to their 6 oceanfront webcams, access to exclusive 5-day surf forecast that displays multiple swells, wind and tide conditions in over 10 locations from Virginia Beach, VA to Wrightsville, NC. The new version of this website was about 40% done before Mitro Digital Marketing Team took over it. We’ve got the most challenging part. Hiding the latest three days on the Forecast on the free version, fixing the issues with the Forecast’s tooltip, outputting the Forecast Data on the Report’s Submenu, Weather Alerts, Nearby Reports, adding new cams, Photo Gallery, secure their online payments, setting up other third-party APIs like Buoy Reports Provided by NOAA, etc. In this article I want to share an experience I had with one of my current projects I am working on. The project consists of a website with Surf Reports, live cameras and other tools for surfers. A very interesting project. I may come up with a case study later but for now I want to talk about one of the features I built for them and this is the Weather Alerts. This was done using the National Weather Service API. I built a simple plugin for WP which calls this API and gets the data in a JSON format and then decode it using a native PHP function, json_decode. 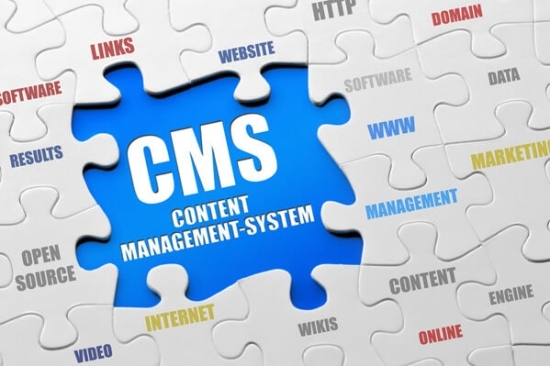 Are you finding yourself proficient in a CMS? How about outside one? The CMS is serving an important purpose. Many top tech companies use CMSs. The problem is many developers have the experience where they’re learning web development and the CMS helps them get very far through templates and plugins, but after a while of developing in plugins and templates world they find themselves at the dead end. There is something lethal about the way you’re approaching the templates and plugins world that is different from the whole rest of the world of web development and they can’t break out of the CMS world. It is self-evident that businesses, like people, are supposed to grow; and with growth, comes change. The need to launch or upgrade the websites can be a big challenge when choosing dedicated or shared hosting plan. Things can become confusing because you will have to decide between your current and future need. 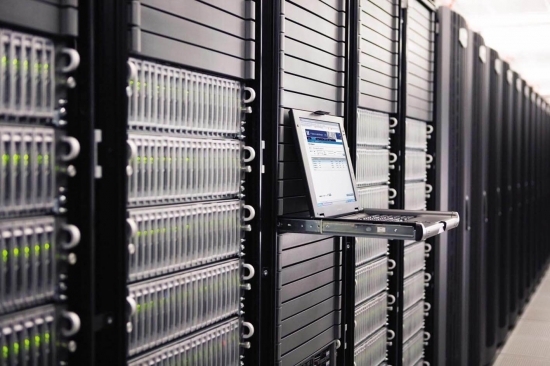 In an age where every web hosting provider claims “unlimited everything”, it can become even more perplexing to make the right choice between Shared Server Hosting and Dedicated Server. When you acquire Dedicated Server Hosting, the server is dedicated solely to you. There are no other users sharing the server space. The benefit of this type of hosting is the entire server resources are for your use only. Shared server hosting is a host service where users run their website on a server that is shared by other users. It is a popular choice for people just starting out with a website. The shared hosting has less resources available. In this article, we will touch upon each aspect of shared and dedicated web hosting plans, so you can make the right decision. Outer Banks Hotline‘s mission is to promote a safe and compassionate community. They are a private, non-profit human services organization that provides crisis intervention, safe house, information and referrals, advocacy and prevention education services to residents of and visitors to the Northern Outer Banks. 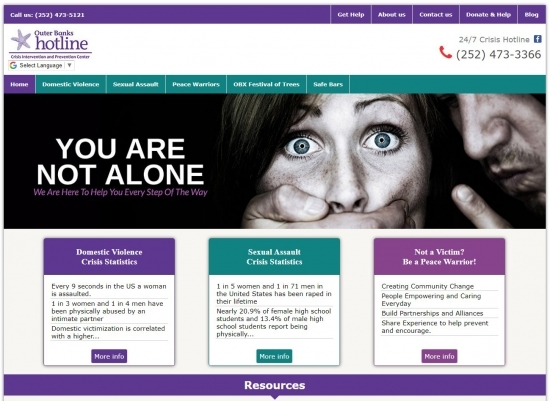 Building a website for this organization was and still is something I am proud of because the website we (Mitro Digital Marketing Team) built is not just a website where users can find more information about Outer Banks Hotline, it is a way to save people’s life. It may be an escape from a domestic violence, sexual assault or any other kind of violence. It was built to change people’s life and we were in charge of it. We got the responsibility and we did our best on making this website as valuable as possible. We made it safe to navigate and it also has a Safe Exit button which allows users to close the website in a very quick and safe mode without marks. This website implements unsurpassed performance, best onsite SEO and coding practices as well as presenting a good user experience. It’s easy and fast to navigate from a technological point of view. Some of our challenges included migrating the content from an old content management system into a new, custom-built WordPress site and re-designing as well as developing the site to be responsive across all devices. We also converted all their PDF forms, such as Friends of The Festival Sponsor Form, Friends of the Festival Tree Sponsorship Opportunities, Friends of the festival live auction sponsor, Friends of the Festival Silent Auction Sponsor and Friends of the festival volunteer, into web pages so the users can submit them online without printing, filling out, scanning in, then sending back. The Friends of the Festival Tree Sponsorship form has an online payment method (PayPal) so sponsors can pay directly after submitting the form. This is just an example but there are multiple ways you can change it. You can write anything you want in your URL. Real-time search is a very interesting and useful functionality which you can use on your website and in this tutorial we will build this functionality using PHP (PDO), Ajax and MySQL. Make your website more user-friendly with real-time search. To get started we should create a database and in that database we need t have a table. I use MySQL and my database's name is tutorial, the table's name is users. 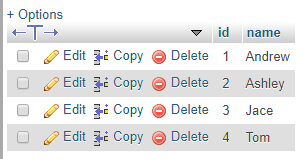 My table has 2 columns: id and name and I have four users inserted already. According to elated.com, recursion occurs when something contains, or uses, a similar version of itself. That similar version then contains or uses another similar version of itself, and so on. Sometimes this process can go on forever, such as when you hold 2 mirrors directly opposite each other, creating an infinite series of reflections. More often, though, the number of repetitions, or "depth" of the recursion, is limited by some sort of end condition. Hello! Welcome to another tutorial! Today we will build a Wordpress plugin. This plugin will remove the Wordpress News meta box from the dashboard. There is a video tutorial for this article. You can find it here. To get started let's go to our plugins directory which is located in wp-content/plugins/. Description: This plugin will remove the meta box! So, you my say: “This is just a PHP comment”. Yes, it is a PHP comment but it is very important because Wordpress reads it. All the information from this PHP comment will appear on your dashboard where you have all your installed plugins. 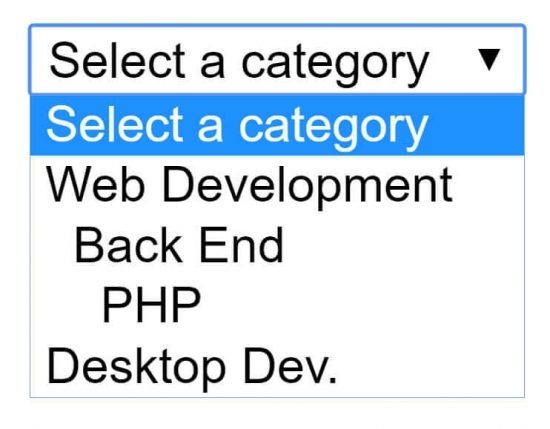 From the previous tutorial we already have our files and functions we need for a login form. In this tutorial we will use the same code and we will add some more functions and files to set up a Cookie and filter the information entered by users. If you didn’t watch the previous tutorial you can find it on YouTube.